A trip this spring to Cornwall in southwest England gave my husband and me the opportunity to experience the unique treasures in this part of the world. In addition to beautiful landscapes and breathtaking coastal hikes, we visited the Eden Project, Minack Theatre, Land’s End and the towns of St. Ives, St. Just and Mousehole. 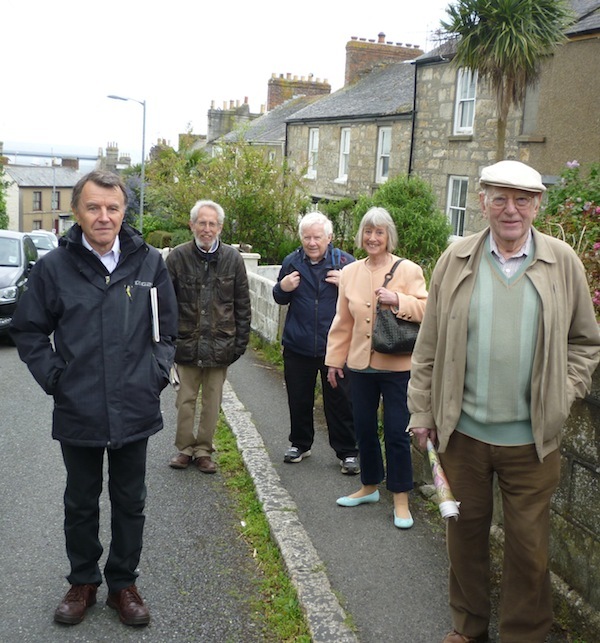 It was in Penzance, however, that we enjoyed the warmest of welcomes from representatives of the Council of Cornish Jews, otherwise known as Kehillat Kernow, when we stopped for a day to visit. We were greeted by Kehillat Kernow chair Harvey Kurzfield, public relations chair Jeremy Jacobson, and Patricia and Leslie Lipert. Patricia serves both as a lay leader for the community, as well as editor of the community’s newsletter and website. Her husband Leslie is the Kehillat treasurer and, for the past several years, he has spearheaded a drive to raise the monies needed for repairs at two Jewish cemeteries, in Penzance and in Falmouth, which is about 50 kilometres away. The name Kehillat Kernow represents both their Jewish and Cornish roots, kehila meaning community in Hebrew, and Kernow, in Cornish, meaning Cornish. Keith Pearce, a Kehillat member, co-edited a collection of essays called The Lost Jews of Cornwall, which details the history of Cornish Jews. He has also written The Jews of Cornwall: History, Tradition and Settlement to 1913, which paints an intriguing picture of the first Jews who lived in the Penzance and Falmouth areas of the county since the 1740s and documents how much of their legacy remains. Falmouth, by the way, derives from the nearby River Fal and is an English translation of the Cornish Avber Fal. The first Jews to settle in the Penzance/Falmouth area were from Bavaria, Bohemia and the Netherlands. They came, in part, to supply the tin mining industry, which was one of the major economic activities in the area at the time. Some were jewellers and clockmakers; they chose Cornwall because they felt it would be a safe haven for Jews. Alexander Moses, a silversmith, was the first Jew known to settle in Falmouth, with his wife Phoebe in 1740. He became known as Zender Falmouth: Zender was a common diminutive among Jews, as was taking as a surname the name of their hometown. Surnames were not commonly used then. Looking to the future, Zender built a building in 1766 along the seafront in Falmouth to be used as a synagogue when more Jews settled there. One of the stories told about him is that he had other peddlers in his employ whom he paid if they would come to Sabbath services and ensure a minyan. 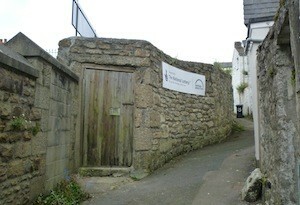 Later, another synagogue was built in Penzance. Despite Zender’s forward-looking vision, in time and with the coming of the industrial revolution, many people, including Jews who had settled in the area, moved from the rural and small-town settings to the cities. By 1913, the synagogue in Penzance was closed. Today, the building that housed that synagogue is a pub. Another interesting aspect of the history of the Jews in Cornwall concerns the arrival in Penzance in the 18th century of the Hart family. The most famous member, Asher Laemle ben Eleazar, known later as Lemon Hart, was a distiller and a spirits merchant. Hart earned a national reputation as one of the first suppliers to the Royal Navy after it began giving each seaman a daily ration of blended rum. Harvey told us that, when he first moved to Cornwall from London in 1971, there was no formal organizational life for Jews and there had not been for quite a long time. He recalled that he slowly began to make the acquaintance of other Jews with whom he and his family could share simchot but that the distances between the small towns in the county and the lack of a formal structure worked against people easily coming together. That changed when, by happenchance, in 1996, the Cornwall county council appointed David Hampshire as the religious educator, a sort of advisor on all aspects of the religious studies that were part of the required curriculum among county schools. Hampshire was a former monk who had converted from Christianity to Judaism. In the course of his work, he encountered other Jewish families, and a “critical mass” of Jews who knew each other and were interested in meeting together to celebrate Judaism developed. Kehillat Kernow’s beginnings were modest. There were 40 separate households within the Kehillat and they held Shabbat services in the Baptist church in the small town of Truro. Today’s Jewish Council of Cornwall now enjoys the use of two Torah scrolls. One of the scrolls is on loan from a synagogue in Exeter; the second was acquired from the Royal Institution of Cornwall after years of negotiation. This latter Torah scroll is thought to be more than 350 years old and to have come from Bohemia in the early 18th century when the first settlers came to Falmouth. It has been refurbished for its use by this special community of Jews. Kehillat Kernow has ongoing relationships with both the Movement for Reform Judaism and the United Synagogue (Modern Orthodox), both of which have departments that deal with smaller Jewish communities in England. Its current membership is just shy of 60 family units, totaling about 105 individuals. There are six to seven children enrolled in cheder and, last year, the community celebrated three b’nai mitzvot. Services – which are held every two weeks – are lay led in a local school building and rotate among two women and three men as leaders. Services are held for all holidays and festivals; there are Hebrew classes, as well as classes in Shabbat cooking and in storytelling; and occasionally there are musical concerts. Conversions are done with local leaders but then formally carried out by a Reform bet din (religious court) in London. Lay leadership officiates at weddings and funerals. Kehillat Kernow is an active participant in an interfaith forum in Cornwall. This forum has been working towards a dor kemmyn, Cornish for interfaith community building. In time, the building would be available for use by the Kehillat, as well as the other religious groups in the forum. Kehillat Kernow is clearly held in high regard by other religious communities in the area. This is exemplified by the invitations they have received recently from various churches to be part of the churches’ international Holocaust remembrance services. Yet another interfaith group, Friends of Israel, recently invited Kehillat representatives to attend a film about the aftermath of the Shoah and the plight of Jews who were expelled from their home countries with the emergence of the state of Israel, and to say Kaddish within their midst at Holocaust remembrance services. 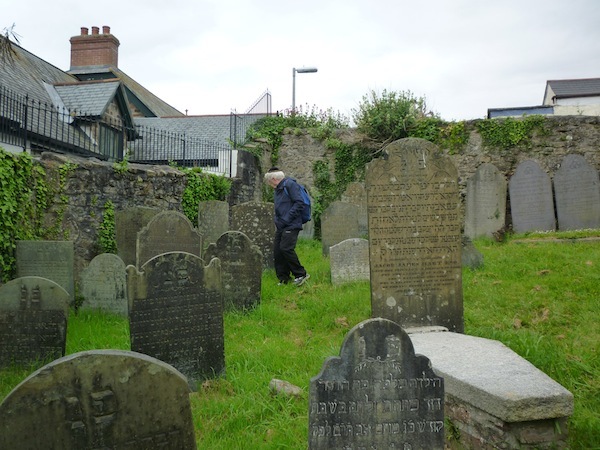 One of the Cornwall Jewish community’s most ambitious projects is the restoration of the cemeteries in Penzance and Falmouth. The Penzance Cemetery, which dates to the 1700s, is thought to be the finest example of the 25 Georgian Jewish cemeteries that exist outside of London. The work on it is being funded jointly by money raised from the Heritage Lottery Fund, and organizations and individuals in the Jewish community, including descendants of those buried in the graveyard. The Penzance Cemetery has a rare grave – that of an infant buried on a Shabbat because of a cholera epidemic. 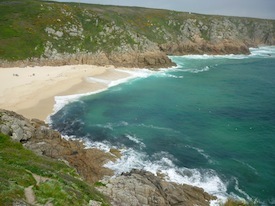 Should your travels take you to Cornwall, you are invited to contact Harvey Kurzfield ([email protected]), Pat and Leslie Lipert ([email protected]) and Jeremy Jacobson ([email protected]) and to view the schedule of Kehillat Kernow’s activities in their newsletter at kehillatkernow.com. Karen Ginsberg is an Ottawa-based Jewish travel writer.